Durable plastic allows for frequent reference. Handy plastic pocket on every divider for extra storage. 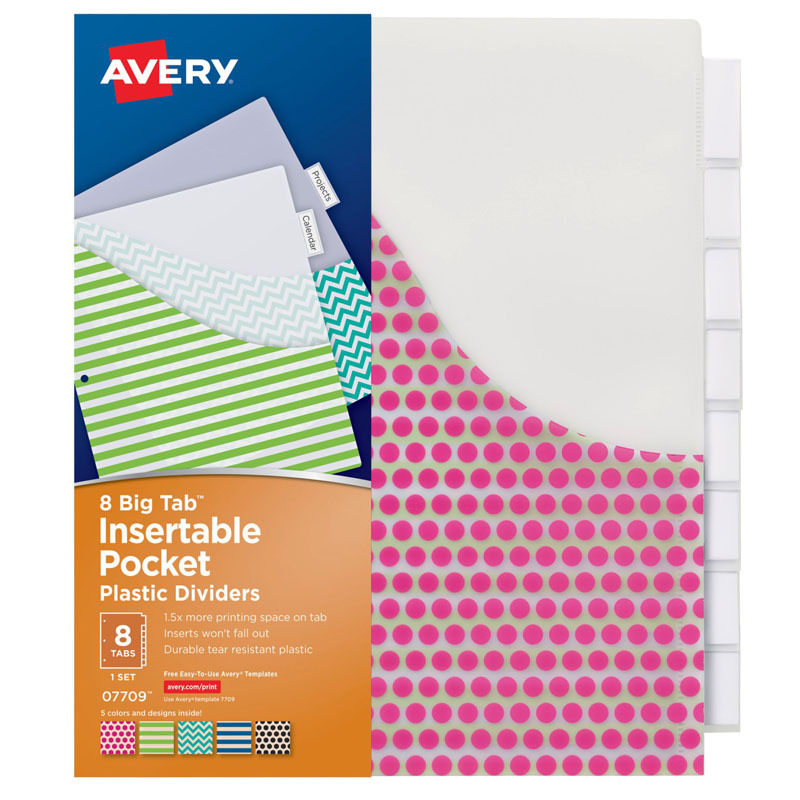 Each divider pocket features a different color and design. The clear tabs are bigger, providing 50% more writing space than standard tabs. Design allows for easy access to insert and remove tabs. Handwrite, or print the inserts using your laser or inkjet printer. Easy to customize with free templates and designs available on Avery Design & Print Online (avery.com/print).